When an academic writes accurately about aspects of autistic lived experience, some people grumble. “All they needed to do was ask me and I would have told them,” some will say. “We've known this for years but they act like it’s a shocking new revelation,” others might add. I, however, rejoice. Formal confirmation of autistic common knowledge is exactly the kind of research we need out there. I am so happy when an academic paper states the obvious (at least obvious to us autistics) because it means there is finally an information source that “the system” will respect. Do I wish people would actually listen to actual autistics? Most definitely, I do. But until we manage to shift that Overton window halfway across the wall, I rejoice to see our actual life experiences written about accurately in scientific journals. I was especially thrilled reading Rebecca Wood’s research, recently published in the journal Educational Review. In her article, “The wrong kind of noise: understanding and valuing the communication of autistic children in schools,” Woods uncovers something we autistic adults have been complaining about for so long: We are not “allowed” to do the same things non-autistic children do. They are allowed to be so loud we cannot bear to be in the same lunchroom with them, but we are silenced if we are even a fraction as loud as the non-autistic people. We’re relegated to a lesser status wherein we’re expected to quietly tip-toe through life, while forced and shamed into putting up with the sensory onslaught of the “normal” day-to-day noise of others. Woods studied children in five different mainstream primary schools in England over the course of five months, and observed that autistic children were regularly treated differently with respect to noise and communication. She titled her paper “The wrong kind of noise” because she noted that it didn’t matter whether autistic children were complying or not and it didn’t even matter if the autistic children were being loud or silent: no matter what the children did or did not do, they were viewed as making “the wrong kind of noise” because their autistic sounds, autistic communication style, and even autistic existence itself was “disdained” by the adults in charge. In her study, Woods found that “communication, noise, and silence all intersect in relation to autistic children in schools.” She saw that all the schools had put the development of communication skills high on the list of important interventions for the children, but the way these interventions played out in the daily school life of the autistic children shaped how the children communicated—often in unplanned-for ways, often in ways directly detrimental to developing communication skills. Woods goes on to describe concrete examples, like a child she calls Piotr (all names in her study are changed) who expressed 39 verbal and non-verbal signs of aversion to an activity the teaching assistant was trying to engage four-year-old Piotr in. Piotr said no, said he wanted to go outside, tried to hold the book closed, slipped to the floor, and more—all clear indicators of not wanting to do the reading assignment. Yet the school said Piotr was “non-verbal” and one result of that (inaccurate) label was Piotr’s voice going ignored. At one point Wood observed Piotr using a choice card to directly request outside time, but instead of respecting and rewarding Piotr’s communication, the teaching assistant removed Piotr from the choice card area, trying to re-focus him on a different task. This critique of the way education systems are currently functioning is so important. Wood’s study was conducted in England, but the problems it highlights trouble education systems everywhere in the world. Supports are not enough. Access is not enough. Accommodations are not enough. Education is not enough. None of it is enough if the person being supported is not being given adequate personalized assistance. You cannot support a student if you are not primed to listen to them, hear them, and connect with them by showing that their communication was received and taken seriously. Without some hint of personal agency, what encourages a student to make any effort at all? The system is set up to generate learned helplessness and resignation. 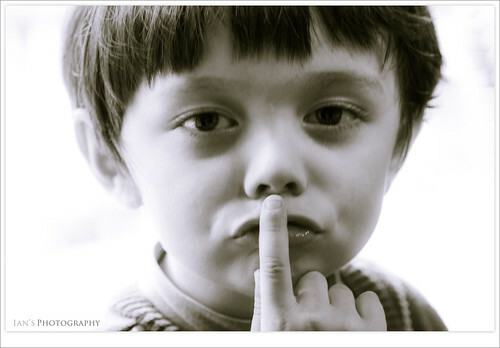 Silence, on the other hand, was a clear sign of autistic engagement. For example, when Piotr was allowed to choose his own book, none of the aversion behavior was evidenced and instead he quietly read, fully engrossed in the book (and demonstrating his approval with 44 approving behaviors in fewer than 5 minutes). I know a big, sarcastic “well, of course” is due, but this is exactly the kind of stuff that really needs to be documented in an academic study, because that is the way to get autistic curriculums changed in ways that will benefit autistic students. It’s hard to get educators to listen to autistic adults, which means we need scientific studies that “signal boost” the things autistics have been saying for many years. It’s frustrating, knowing we autistics are not listened to. This paper represents the kind of science that will get us heard. However indirectly that listening has to take place, the important thing is to be heard, in any way that works. Staff at the schools where Wood observed were visibly irritating the autistic children when the students would go silent by whispering questions to the children, or feeding them a steady stream of spoken words in an attempt to expand their vocabularies. The children’s silence was being just as misinterpreted as their spoken and visual forms of communication. The teaching activities flowing from those misinterpretations risk harming children. So much of what Wood’s article comes down to is the importance of presuming competence. Wood shows how giving a child the label “non-verbal” (whether accurate or not) causes staff to work with that child differently, including ignoring massive amounts of communication from the child because the adult has been primed to behave as if “non-verbal” means “never communicates.” Wood rightly calls this “confirmation bias” and writes that these “deficit-oriented discourses” are damaging to children. Hopefully, Wood’s research works its way into the hands of those who can make positive changes in the educational systems that serve the needs of autistic students. It is refreshing to read research written by someone who really seems to see and hear us. It’s time for an autism research renaissance. We need more researchers like Wood: researchers working with and listening to autistic subjects, resulting in findings that genuinely improve the quality of life for autistic people.